The hazy glow of a dreamy moon reaching out on a lightly clouded sky sprinkled wih a handful of forever twinkling stars. 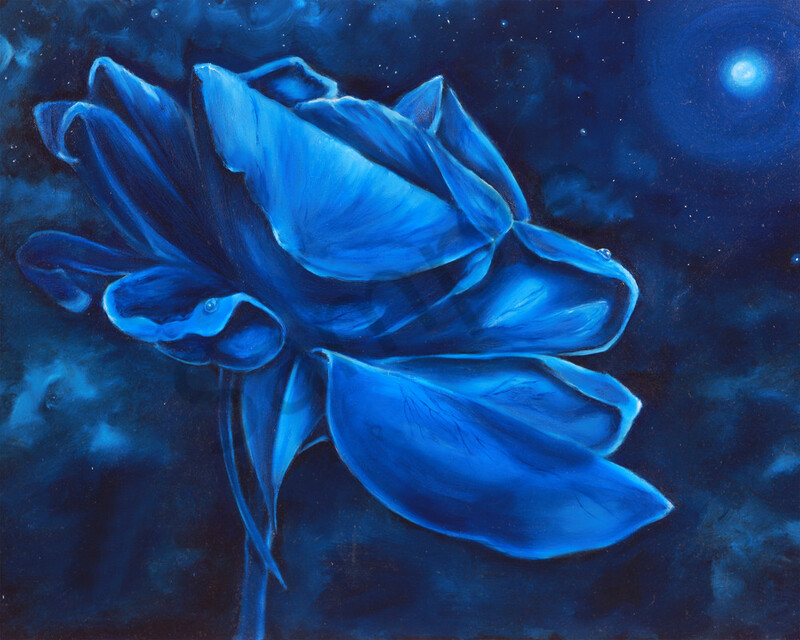 A single rose peers through the fragrant blue. A soft kiss of color on a romantic night. A moonlight rose.